We carry Royal Canin and Hill's Prescription Diet's. These are available in many different formulas and flavors depending on your pets individual needs. While we try to keep commonly prescribed diets in stock, some diets may have to be special ordered. 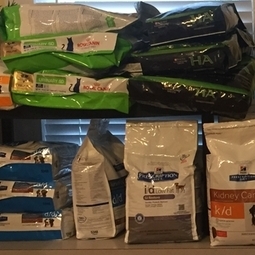 If your pet is on a specialized precription diet please call the office to reorder at least 1 week before running out of food.